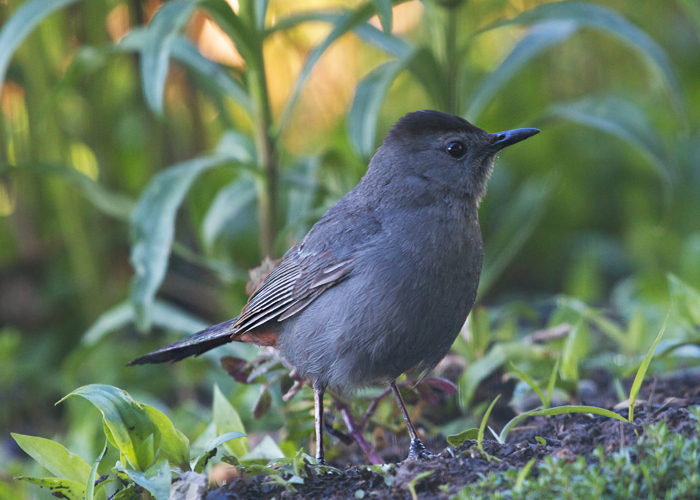 Abstract painter of birdsong, the gray catbird fills his canvas each morning with amazing strokes and streaks and jabs of color. For such a plain gray bird, he sings a florid repertoire. Actually, he's not all that plain, when you look closely. Under his tail his feathers are rusty red (called "rufous" by birders). That and his darker gray cap raise him above anything one could call plain gray. Here are 4 or 5 seconds of the hour-long song he sang outside my window. Does he ever repeat himself? Probably, but you can't prove it by me.